Last month, we took a look at essential golf pieces for women. Now let’s turn our attention to the guys. 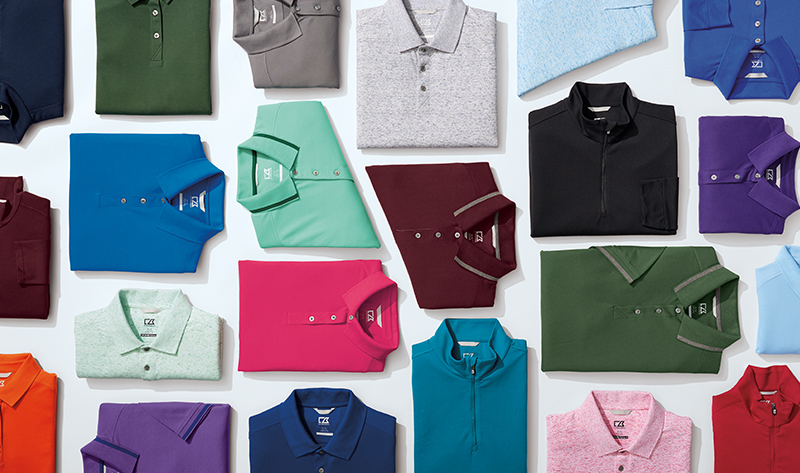 These are the five pieces we think every golfer should have. A Shirt: You can’t wrong with a polo. The versatile classic is a staple of sporting style (despite the name, it was originally designed for tennis play), so it’s always welcome on the greens. 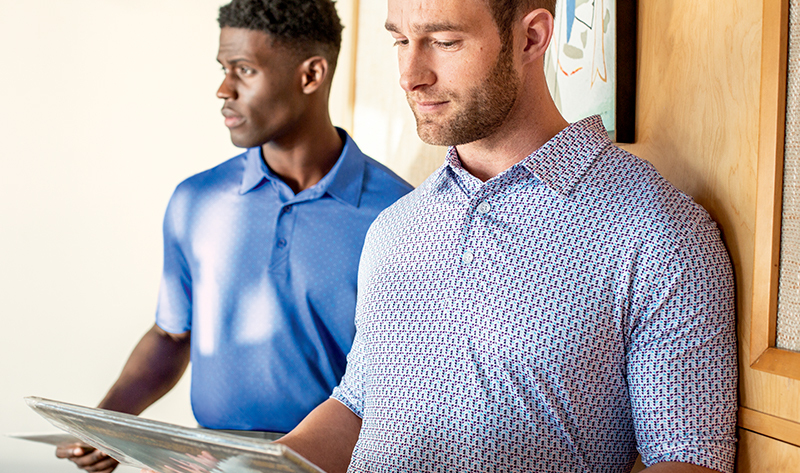 Look for a shirt with moisture wicking and fabric rated UPF 50+ for excellent UV protection, so you can play your best. 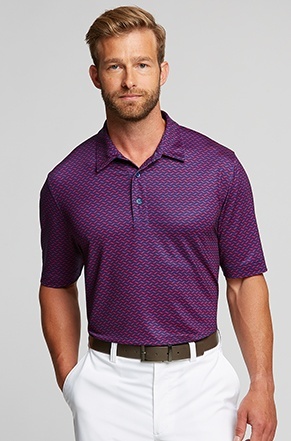 We like the looks of this Pike Herringbone Polo. Pants and Shorts: You’ll probably want one of each, though that depends on where and when you play. To keep things simple, we say go with our Bainbridge line, in both pants and shorts. 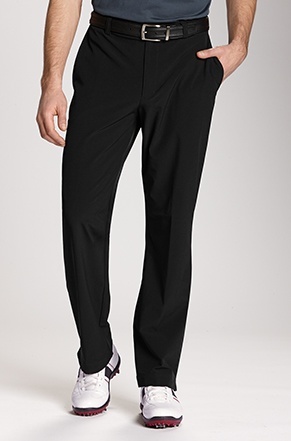 These have a flat front design that looks sharp; they also have a little stretch in them for movement. 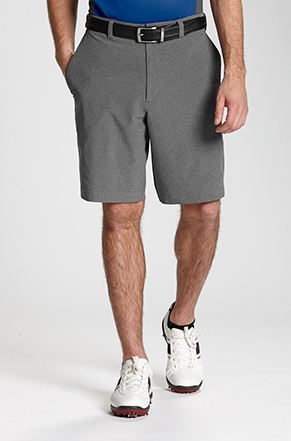 The shorts come in a wide array of colors, too. 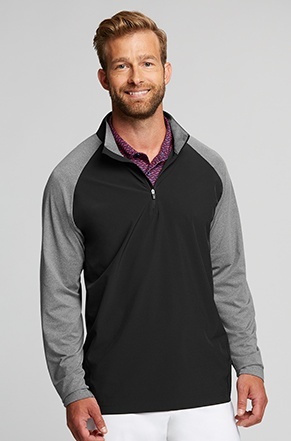 A Layering Piece: If you’re hitting those early tee times, you’ll want a lightweight, long-sleeved layer like the Response Hybrid Overknit. 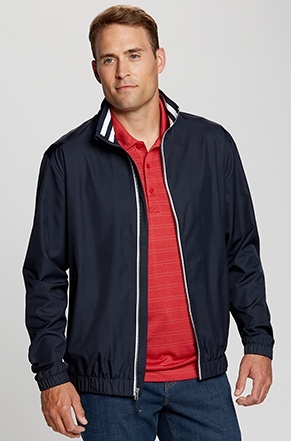 It’s a true performance piece with stretch, moisture wicking and excellent UV protection. It’s also the kind of piece that packs and travels well for your golf holidays. 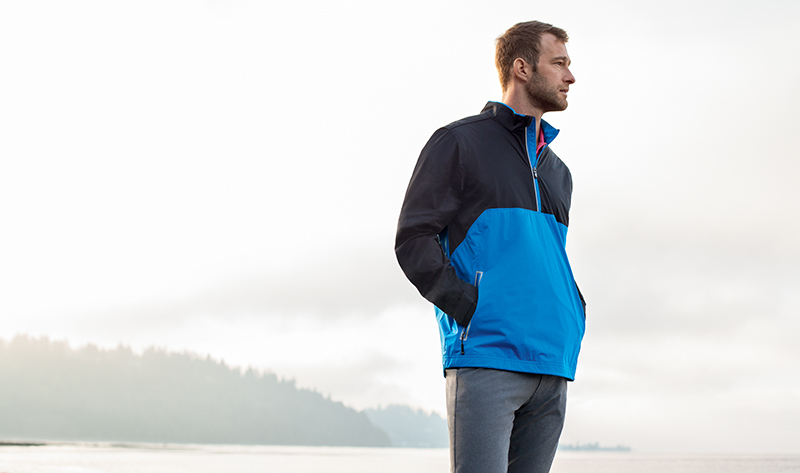 A Rain Jacket: Our best-selling Nine Iron Jacket is exactly the kind of go-to piece you can pull on when you need something water-resistant. Little details like the striped knit collar and back venting make it a sporty piece that pairs well with the rest of your ensemble.